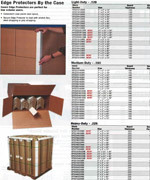 New Day Packaging Products is a leading distributor of boxes and wooden containers that can meet virtually any shipping, transport, or storage requirement. With over 10,000 products in our inventory, we carry corrugated boxes, cube boxes, flat boxes, tall boxes, heavy-duty boxes, and long boxes that are easy to stack and provide even weight distribution in demanding environments. They’re available with either double wall, edge crush, heavy duty, or multi-depth designs. Our self-sealing loading boxes include secure adhesive strips that provide dependable closure on both ends. Our HAZMAT boxes and bulk cargo containers offer extreme protection for products transported over air, land, and sea. Our economy, deluxe, moving, and storage boxes feature strong Kraft corrugated construction and are available in flat bundle quantities. 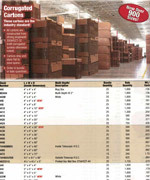 They include special handling instructions, destination panels, and write-in note areas for shipping references. We feature standard mailing products for both direct consumers and retail businesses including Kraft tubes, square tubes, mailers, envelopes, gift boxes, and folding cartons. We also carry a wide range of protective materials including layer pads, sheets, poly bags, shielding bags, chipboard pads, sealers, and covers that are designed to enhance an item’s survivability during transport. From unique ballot boxes to visually appealing floor displays, our custom boxes can help promote brands and get ideas noticed. We offer boxes and containers from a wide range of trusted brands, providing high-quality solutions that help customers protect cargo and save money.